President Trump has tapped his pick for the next Supreme Court justice to replace Anthony Kennedy — and he’s being hailed as a strong conservative choice. The Prez nominated DC Circuit Court of Appeals judge Brett Kavanaugh Monday, nearly two weeks after Kennedy announced he was retiring. Kavanaugh, a George W. Bush appointee, is considered by many to be an establishment guy, and has even been called the “Forrest Gump of Republican politics.” He’s also Catholic. 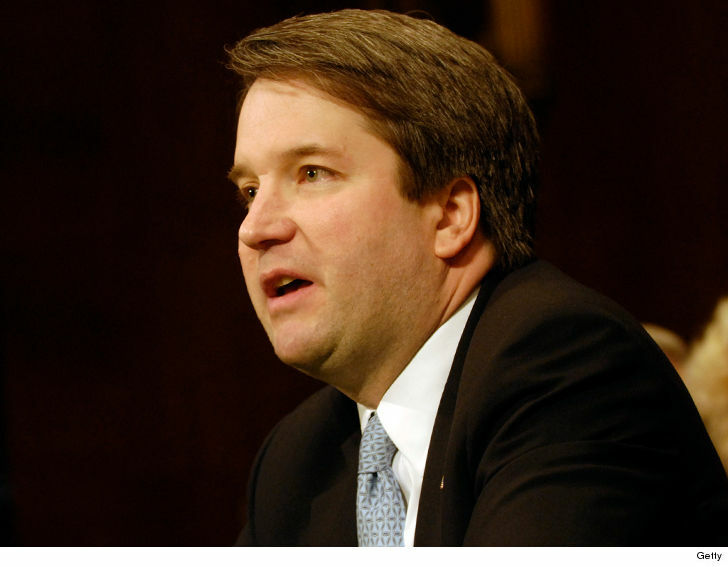 Kavanaugh has quite the resume … having gone to Yale Law, and working in the Solicitor General’s office in George H.W. Bush’s administration. He also worked for Ken Starr during his investigation into then-President Bill Clinton, and is credited with pushing for tough questions on Bubba’s sexual relations with Monica Lewinsky. Oh, and he also used to clerk for the guy he’s replacing on the Supreme Court. Kavanaugh has been serving on the DC Circuit Court of Appeals since 2006. He hasn’t weighed in on a whole lot of abortion cases personally, but is reported as saying he would follow Supreme Court precedent on abortion rights, but hasn’t disclosed his own views on Roe v. Wade. Rep. Joe Kennedy: I'm Not a Drooler, It Was Chapstick!!! !